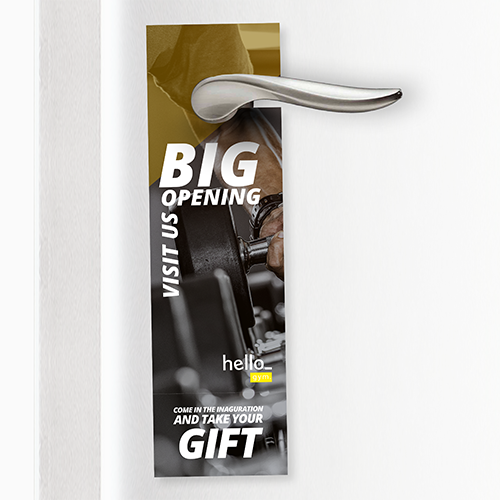 Door hangers are a unique way to promote your business and deliver your message - quite literally - right to your customers' doors! 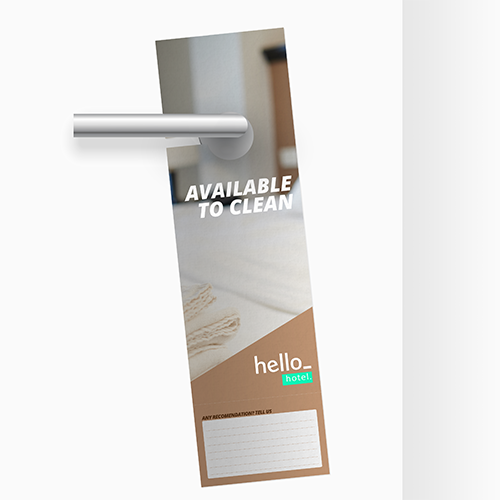 Door hangers from Helloprint are printed on top quality paper with the option for Matt or Glossy finish. 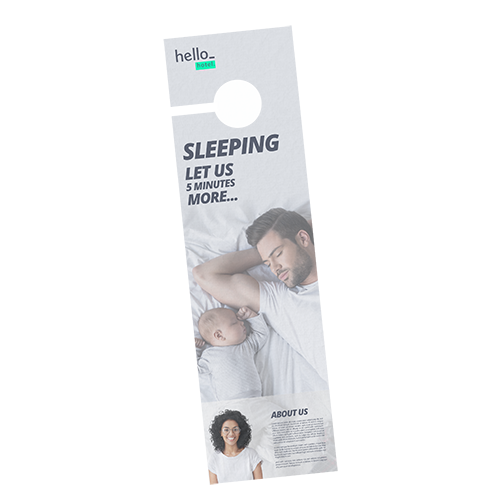 Print your unique door hangers at Helloprint today! All door hangers come with a perforated section below, where you can easily add/remove additional information. Please check the template for more guidance. In which sizes can I get my doorhangers? A doorhanger is a solid piece of cardboard made to fit the shape of a traditional door knob or handle. The hole on top makes it easy to hang up on a doorknob, and is widely used in a hotel for example. For the delivery of your doorhangers we use multiple carriers. Because of the highest reliability, in most cases we use UPS or DPD. The doorhangers that is chosen in most cases can be selected via our website. Most used: 350 gsm silk mc is the official name of this material. This material is good for premium products. This high-end smooth material has a matt look and is the thickest paper type we have (0,4 mm). Deluxe hanger: 350 gsm glossy. The glossy finish on this paper will let your door hanger stand out! 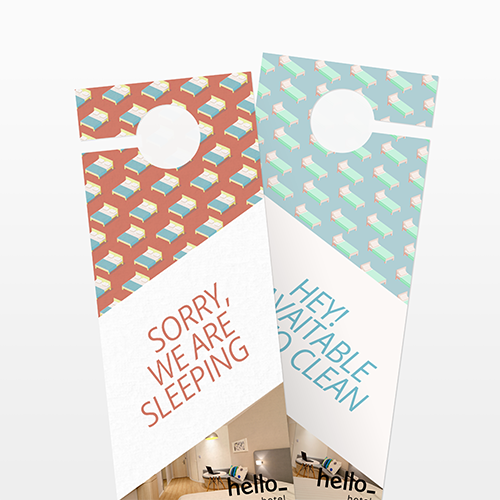 These glossy door hangers are real eye-catchers and will impress your customers! Deluxe Hanger: 350gsm Matt. These door hangers feature a matt finish, giving your hangers a luxurious look! 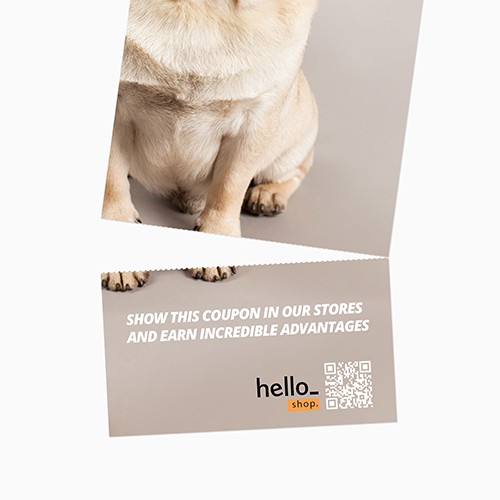 Impress your customers with door hangers printed on matt paper.